Here in this theater we call Earth, we rely on linear time to move through our experience. However, Shaman’s have long known that real time does not just move in one direction. For this month’s blog entry I asked author and friend, Taryn Voget, if she would do a guest post. Taryn recently sent me part of her upcoming book on parenting (the book is called How to Raise a Happy Child (and be happy too), and is coming out in the fall of 2012.) I really resonated with this one section on children’s behavior, non-linear time and living with the Unknowable. I asked her if she would mind sharing these very shamanic thoughts with you. I hope you enjoy it as much as I do! The vast majority of people in the field of psychology believe that our behavior is formed by our past. Conventional thinking is that it is our past experiences, external influences, environment, and even the DNA our parents passed down that determines why we do what we do in the world. But have you ever considered the idea that our behavior can be formed retroactively by the future? That behavior can be formed by the intuition of where our calling will take us, and what we are destined to become? In his New York Times Bestselling book, The Soul’s Code: In Search of Character and Calling (1997), psychologist James Hillman offers a view of child psychology based on the idea of the personal ‘daimon.’ The ‘daimon’ is what shamans might call the ‘attendant spirit’ of the soul. Hillman calls it the “Acorn Theory,” which holds that “each person bears a uniqueness that asks to be lived and that is already present before it can be lived…. Each life is formed by its unique image, an image that is the essence of that life and calls it to a destiny.” Put another way, we have each come to this planet with a specific purpose and we will stubbornly create our life – and the experiences in our life – to fulfill our soul’s calling. We are each an acorn that already contains a specific blueprint for a magnificent, unique oak tree. Hillman shares examples of several famous people where it seems as if they, as young children, knew what they might become. For example, Yehudi Menuhin, one of the greatest violinists of the 20th century, insisted as a tiny child on having a violin, yet smashed the toy violin he was given. His “attendant spirit” (daimon) was already grown up and it disdained to play a child’s toy! It seems he wanted – demanded – his young fingers practice on the real instrument in his future. Or maybe the child knows what he must become, and he fears it. For example, Manolete, the bravest and best of bullfighters, was a terrified child who clung to his mother’s apron strings as if he already knew the dangers he would have to encounter as an adult. Winston Churchill was a poor scholar. He was consigned to what we’d now call a remedial reading class, as if putting off the moment when he would have to labor for his Nobel Prize for Literature. Many in the field of psychology would say that Manolete became a bullfighter because he wanted to prove to himself and the world that he was not a scared, weak little boy. But what if Manolete knew – in some part of his soul – that one day he would be facing thousand pound bulls and as a little boy was terrified at that thought? Or maybe he was practicing with his mother’s apron for the cape he would one day hold? We don’t know why we chose our parents. We don’s know why our kids chose us. We don’t know that flunking a high school math class and therefore having to attend more of a ‘safety school’ is “worse” than going to Harvard. Or that an obsession with comic books at a young age is a “waste of time.” Or that ADD behavior is really a problem. What if children with ADD behavior are really just bored with a class situation and textbook learning that they know they will not need in their later life? We simply don’t know what the acorn is growing into. We don’t know what shape the tree will take. From our vantage point of linear time and traditional psychology, we make judgments. But we really don’t know. As parents, we must live with the Unknowable. We must trust that each soul will achieve its destiny with a stubborn force of will. Our job is simply to have faith and to cheerlead our children along the way and trust that they, as little acorns, already know how to become magical, unique trees. Steve Jobs knew what James Hillman knew. That frequently it is our future that influences our current behavior. Parents think they know more than their kids, that they have more wisdom and can guide children based on their own experiences with the world. 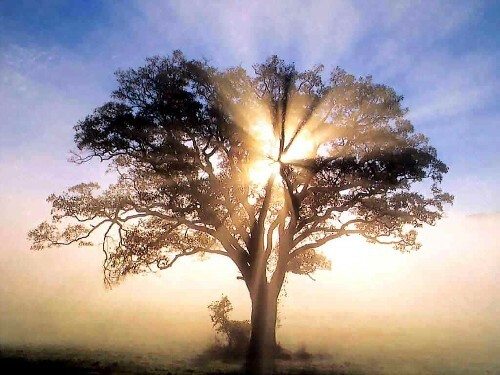 But can anyone ever really know what experiences our soul needs for its growth into that tree? Or can we only really connect the dots of our life by looking backwards?